An example pie chart, comparing the number of sub groups in several sets of data. Click here to free download Edraw Charting Software. 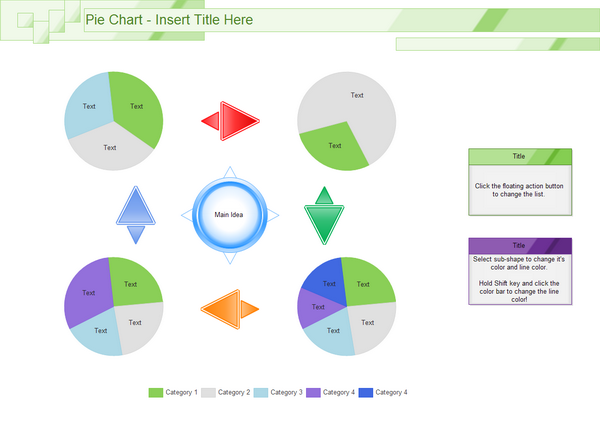 Then you can apply the built-in templates to create and present multiple pie charts fast.